Check Crime In Your Neighborhood Using The NYC Interactive Crime Map….. – Darnell TheNewsMan!! 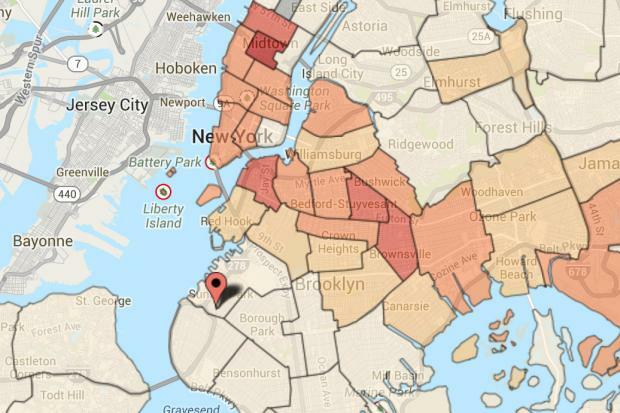 Check Crime In Your Neighborhood Using The NYC Interactive Crime Map….. The NYPD made a move towards embracing the digital age with the release of an interactive NYC Crime Map. The map, which was built by the city using Google products. The NYPD is allowing the public to interactively search for felony crime information by the current year, the prior year, and by month within the current year. It also provides “basic data” that can be filtered using an address, zip code, or police precinct to run a summary report. The data is the same information that has been available since 2003 by way of CompStat reports on the NYPD’s website. Check crime in your neighborhood using the map which can be found here. WiFi On Wheels Rolls Into New York City Public Housing..